Small changes can often have a significant impact. 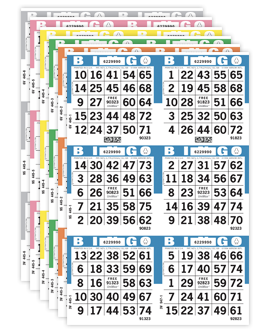 Sometimes all it takes to invigorate floor sales and add new players to your bingo hall is trying a new game you have not offered in the past. You may be surprised to find your players are ready to experience new games! Arrow's 'How to Play' videos provide step-by-step instruction on a variety of gameplay styles. These videos will help educate game operators, sales staff, and floor staff on how to play new games. Watching our 'How to Play' videos will also help your bingo hall staff assist in answering player questions. When you are ready to give these games a try, please contact your sales representative and ask about the variety of game styles available.